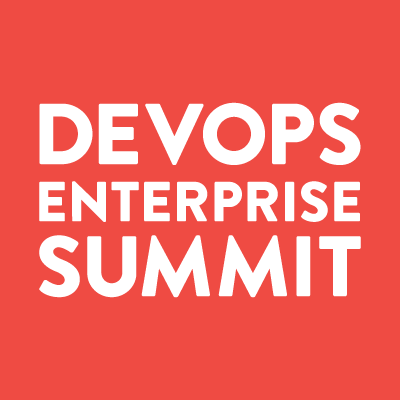 Previewing the subject matter and speakers ahead of DevOps Enterprise Summit London 2019 this June! Next Q: What are the most visible talent gaps in IT today, and what skills or roles are needed most? I think the biggest thing is finding people with passion who care about their work. Everything else can be taught or learned. It's hard to teach passion, we can foster it as leaders but teaching it, that's hard. Understand the big picture, the end-to-end value stream is a major gap. Value Stream Architects are needed to bring visibility to bottlenecks. As @mik_kersten writes about in Project to Product, we need Value Stream Architects who can utilize Flow Metrics and architect the delivery value stream to accelerate the flow of business value. One of the biggest needs is the ability to perform post-incident analysis as a learning exercise - digging further than "root cause" and digesting what we learn from incidents. It's a very tough skill and one that we could use a lot more of. We also need Leaders to understand the role of Systems Thinking and create a safe environment where their teams can experiment, using their ideas on what will improve flow and delivery, and then take those results to optimize the system (First Way). @DOES_USA It's a bit unfortunate sometimes that recruiters will go specifically by skills, previous roles, etc. I'm always looking for those that are willing to learn, try new things, experiment. The recent #Upskilling report from @DevOpsInst showed that automation, process AND soft skills came out statistically equal in terms of "must have" skills. Today’s technology leaders must learn how to become transformational business experts, driving the digital opportunity with the CMO or CDO, and looking beyond operational improvements to achieve competitive advantage through innovation. @mickfeech Can't agree more on this. Without Passion, nothing actually moves and delivers real outcomes !! @dominicad How many leaders know where the bottleneck is in their end-to-end value stream? Honestly, I still see a pretty big gap in understanding the app architectural patterns that help software work well in the highly dynamic environment that is the cloud. That is, cloud-native architectural patterns. for me a lack of diverse candidates is a big challenge. @cdavisafc There are some people who know this really well, but the vast majority of developers probably know about statelessness, but beyond that it diminishes rapidly. @JanJoostBouwman Agree. But I don't think the answer is to make all technologists experts in security, but to create abstractions and frameworks that allow them to be secure despite not being expert. @DheerajNayal23 To me the biggest insight from the #Upskilling report was that the upper level of process skills have nothing to do with frameworks - process flow, systems thinking, customer experience ranked highest. @dominicad Can I upvote this 10 times? @mickfeech Do you actually find it's hard to find passion? I feel like I am surrounded by super motivated, energized people. Is that really the exception? @cdavisafc Sometimes. I think there are frequently many people that have been in the trenches and haven't had the opportunity to look up every once in awhile. What are some ways you’ve seen leaders create a dynamic learning environment in an enterprise? Allocate time for teams to study bottlenecks. one very important thing for us was to get the space to experiment. Very important in our transition phase. Conduct experiments to minimize pain points. Dojos, hackathons, simulations, shadowing - are all good immersive learning approaches. Even classroom training - where attendees share their pain while learning and maybe solve some problems together. A True Leader should imbibe Skills, Knowledge Ideas, Learning (#SKIL) in the Learning environment to make it truly collaborative in nature and realize the True essence of Enterprise goal !! dedicate learning times where peers teach peers about new techniques and technologies. People have to master learning to teach and people love to share their knowledge when provided with this type of opportunity. I love the Nationwide practice of Teaching Thursdays: if I remember right, two hours where every engineer must either learn something or teach something. Amazing! One of the things that I do with my team is a presentation day. We spend time in the morning watching recorded DOES, DevOpsDays, or other conference presentations. In the afternoon we show off cool things we've been working on. Being a consultant I frequently get clients telling me "I don't want anyone learning on the job". I have to correct them, no, you want everybody learning on the job! I also dedicate time for the teams to "hackathing". Like a hackathon but boiled down into a day. It allows for experimenting and we've gotten a lot of really valuable ideas and learnings that we've used to push forward. allow teams to run experiments to improve which includes investing in technical and process(ways of working) debts. This not only promotes learning but also improves team happiness which we know leads to a better culture and productivity. @RealGeneKim agree Gene, this is a great program which I was fortunate to experience firsthand. A dynamic Leader also groom the Team members to discover their individuality and "why" of their roles, path and their goals aligned as a Team member and more importantly with their passion to deliver VALUE !! @HamletArable Wow, that's amazing! 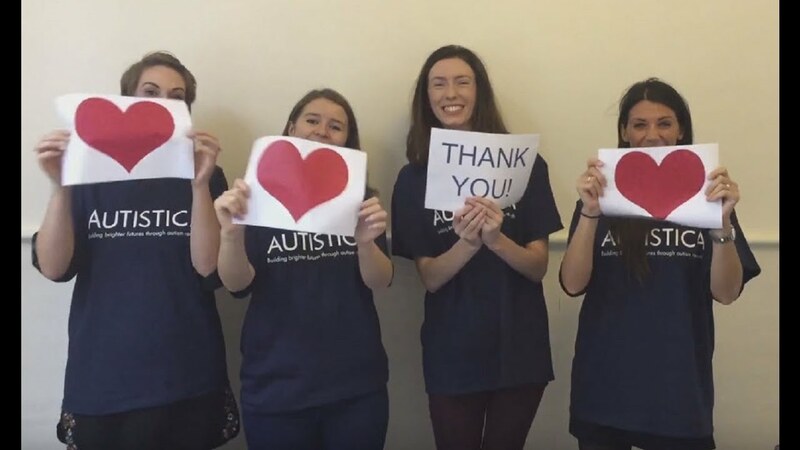 Simultaneously help the autistic population and advancing internal technology learning objectives!